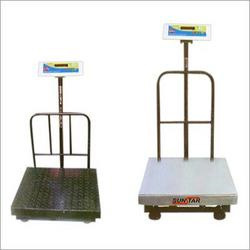 We are renowned manufacturers, suppliers and exporters of an extensive range of Weighing Scales that find applications in various industries, labs and institutions. 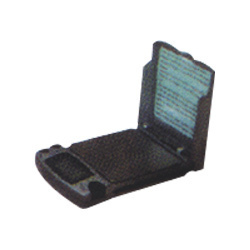 These scales are manufactured by using quality components under strict vigilance, and offer precision weighing features. The range is also known for accuracy, light weight and long lasting service life, and is available in different weighing capacities. We are engaged in offering our clients, an array of G.S.M. Weighing Scale that is manufactured using premium quality material, spare parts and components acquired from the authorized vendors of the market. These have gained appreciation from the clients in domestic as well as international market due to their durability, accuracy, light in weight and excellent performance. Our scales find their application in various industries, medical laboratories and institutions. We are offering our clients with a comprehensive range of Platform Weighing Scales that is manufactured using quality material and cutting edge technology. Our range is known for its durability, light weight, optimum performance, compact design and accuracy. Precision-engineered, our weighing scales are designed as per international quality standards, and are used in various medical laboratories, institutions and industries.